The FCC gives you the chance to see the private parts of a RED EPIC-M digital cinema camera. James Cameron ordered 50 RED EPIC-M cameras. Many people want to know what’s up with EPIC and Scarlet production. EPIC-X. We are frantically working on finding solutions to supply chain issues created by the tsunami in Japan. We have found alternate sources (as have all of the other major companies) of parts that were exclusively made in Northern Japan. All of us are just waiting and in line for these parts and pieces. It appears that a solution to the supply of these parts will allow production of EPIC-X to begin in earnest in June. We have a full production facility and 98% of the components ready and waiting to rock as soon as we receive these parts. EPIC-M. We are making machined body parts and purchasing individual parts and pieces at extraordinary prices now to continue production of EPIC-M.
Scarlet continues to be an issue due to the fact that lens components from Japan are causing an issue and we aren’t quite sure how long it will take to resolve. We will update as we have more info. In the past we were late due to our own issues. Now we are late due to issues beyond anyone’s control. Get the first draft of the EPIC operation guide. There is a lot of controversy about the Alexa vs. EPIC. Rightly so. Here is the official RED take on the subject. The Alexa makes great images. No question about it. The EPIC makes great images. No question about it. The Alexa is a small camera. The EPIC is a smaller camera… about 1/3 the size of an Alexa. EPIC has 6 times the resolution of Alexa. (as normally shot). EPIC has 5 times more measured resolution comparing best case for each cameras. Alexa has a stop more native dynamic range than EPIC. Good on them. EPIC has 3 stops more DR than Alexa using HDRx. Good on us. EPIC is modular. You can upgrade parts and pieces of EPIC. 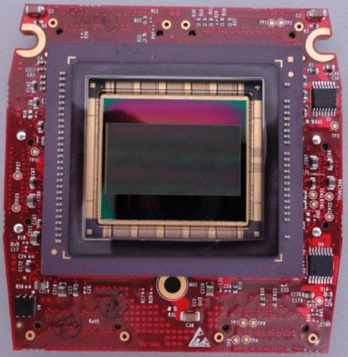 Even the just announced RED Dragon sensor is an upgrade. Alexa is modular (Alexa-M). You can split apart the sensor and tether to the electronics. A different type of modular… and this is a different model Alexa than everyone owns so far. Arri is a 70 year old company. RED is a 5 year old company. RED is scary. Arri apparently is not. Alexa shoots 1080P Prores to a flash card or 2K uncompressed RAW to a Codex box. EPIC shoots 5K to an SSD. Alexa shoots 1080P at 60fps. EPIC shoots 5K @ 120fps. EPIC can shoot high res stills at 5K. It should be noted that Sony has announced a new 4K camera… the F65. While I’m not sure how 8K x 2K outputs to 4K, this is a serious introduction to the industry and should be considered as an real alternative. We especially like that Sony has acknowledged the importance of 4K. Coupled with Sony’s 4K projectors… it appears that 4K is here as the new standard. Rightfully so. Film would be proud. Peter Jackson shoots The Hobbit at 48 frames per second. ”We are indeed shooting at the higher frame rate. The key thing to understand is that this process requires both shooting and projecting at 48 fps, rather than the usual 24 fps… So the result looks like normal speed, but the image has hugely enhanced clarity and smoothness.